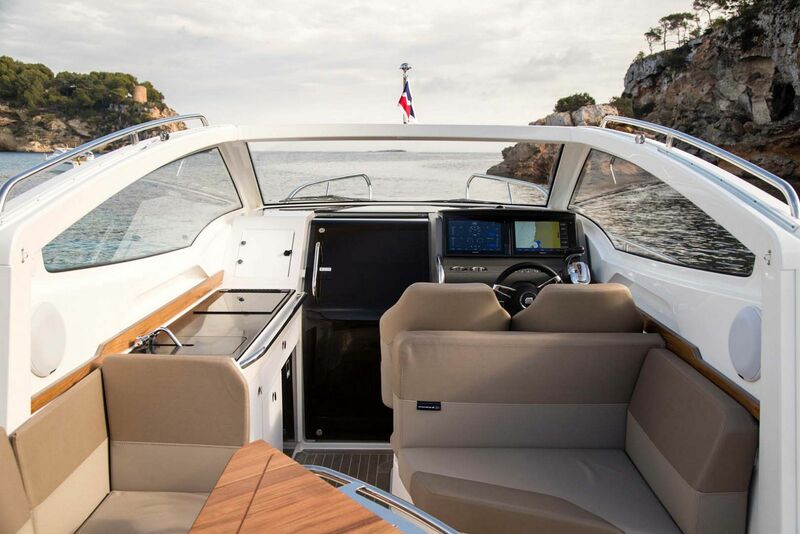 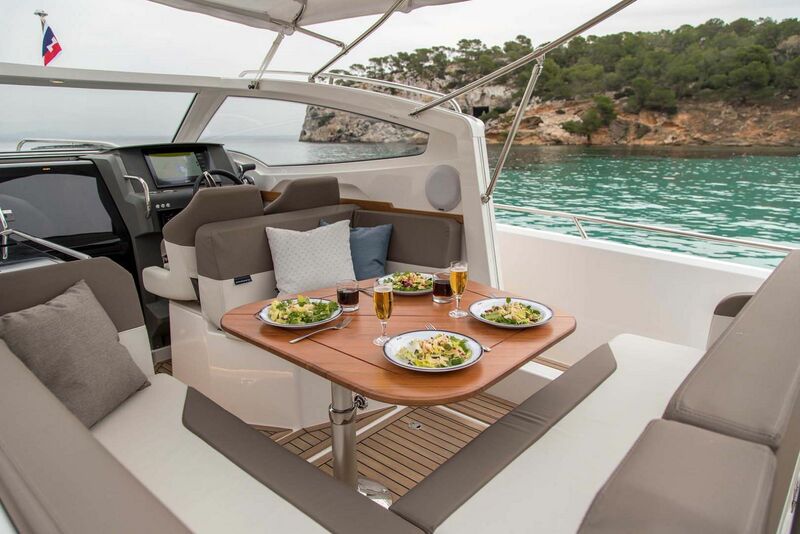 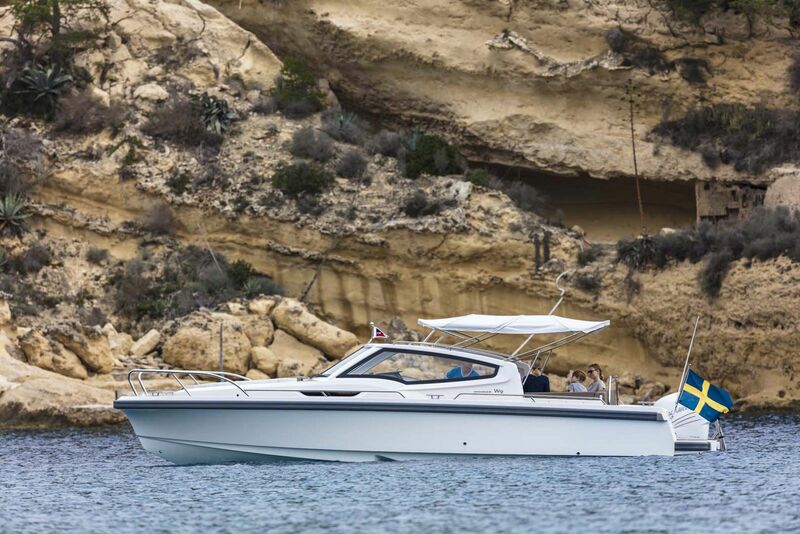 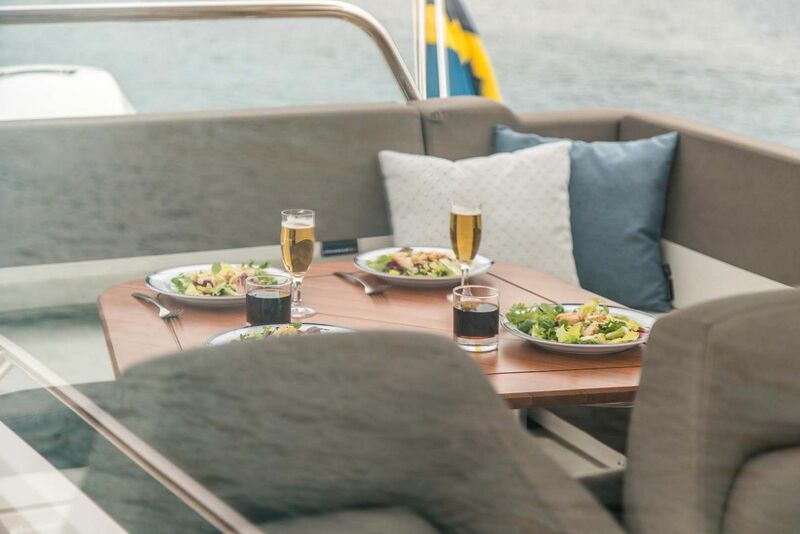 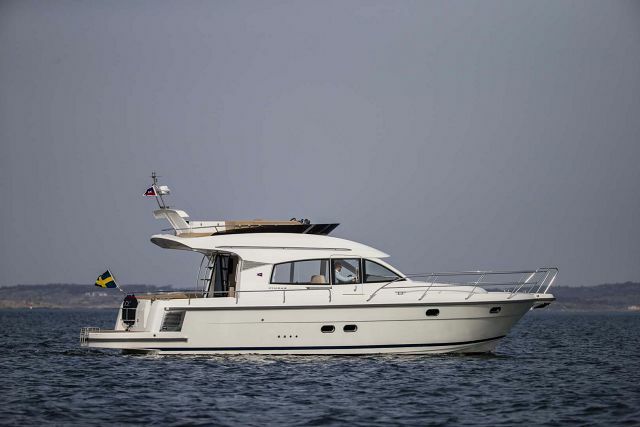 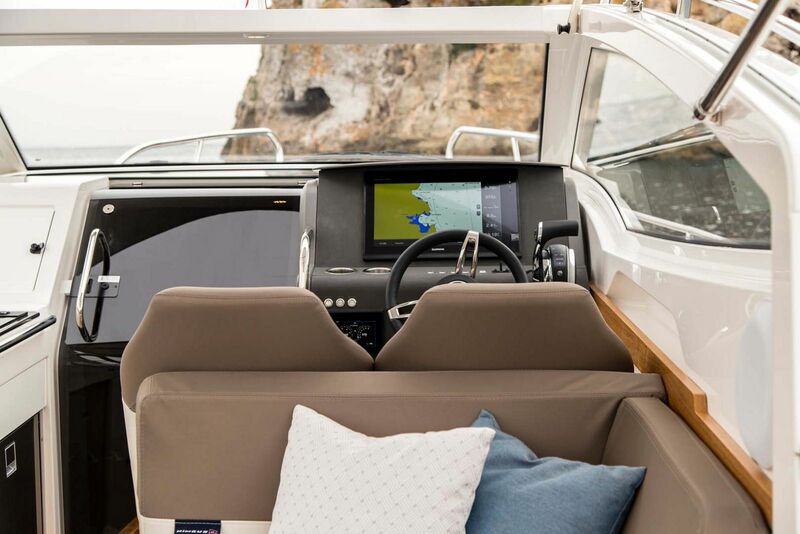 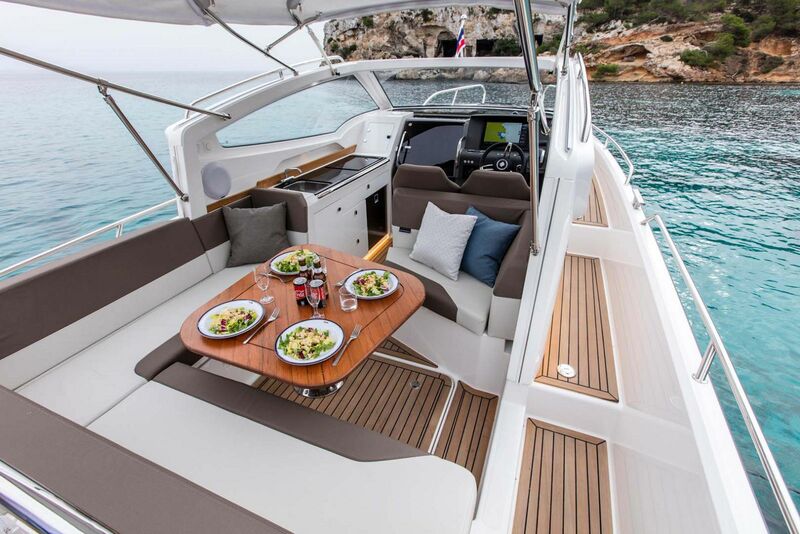 The Nimbus Weekender 9, also called the Nimbus W9, is a new day boat with overnight accommodations that focuses on the social aspects of boating. 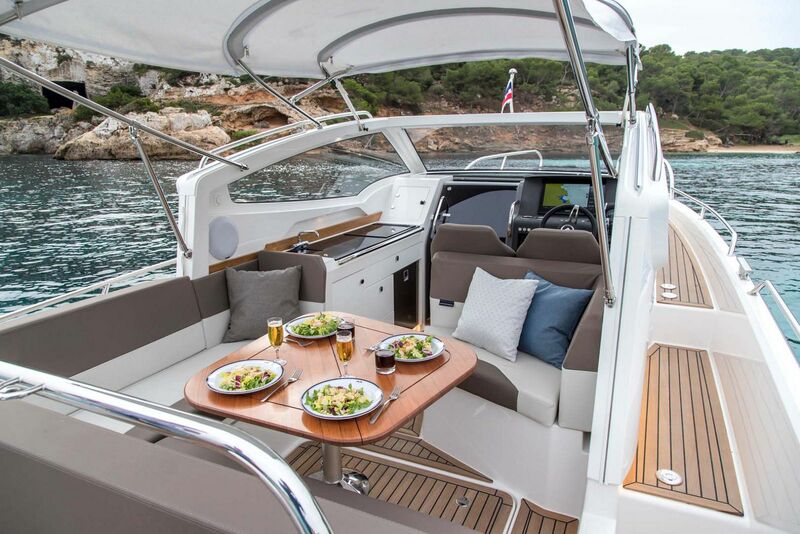 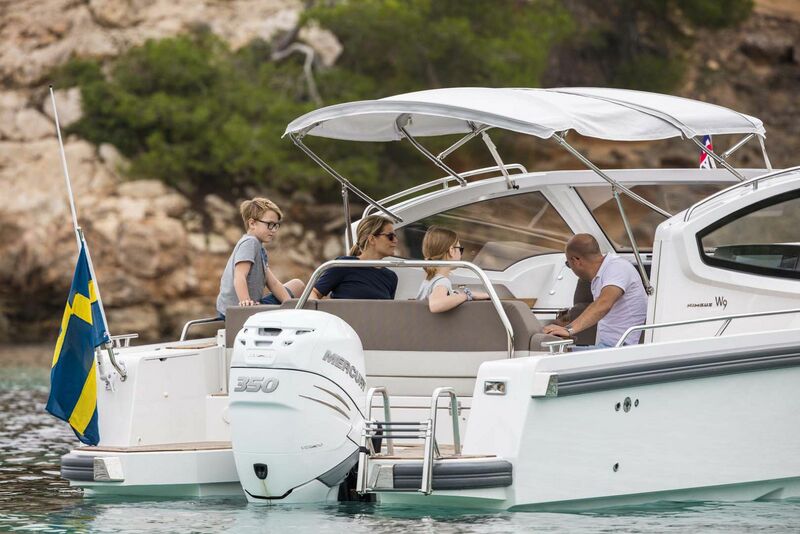 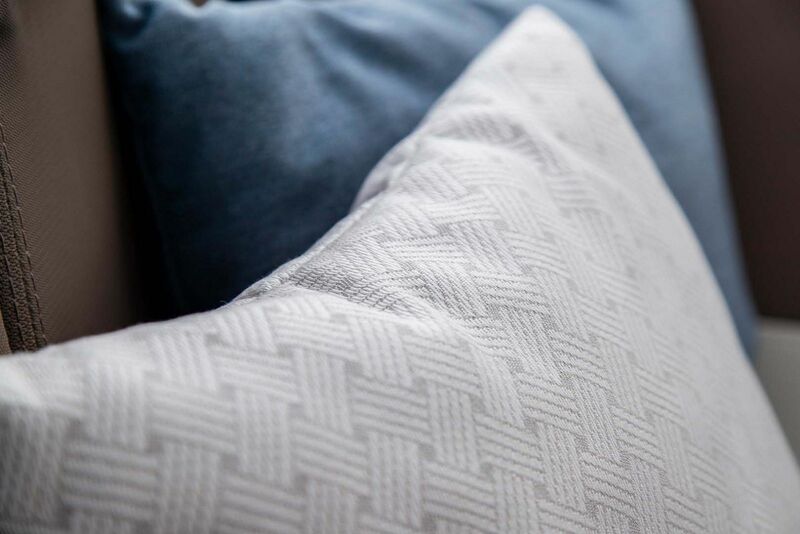 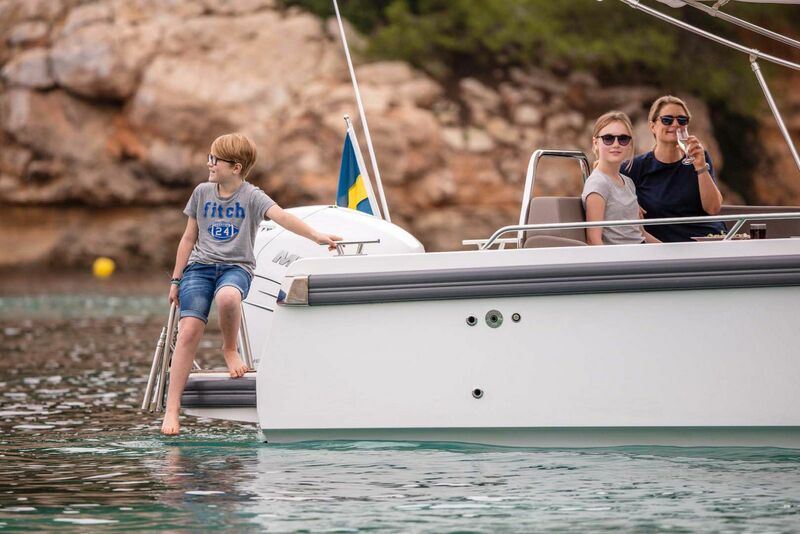 The W9 is built with all of the same safety and quality standards that you would expect from the Nimbus team, yet offers a new take on design, functionality, and comfort for everyone on board. 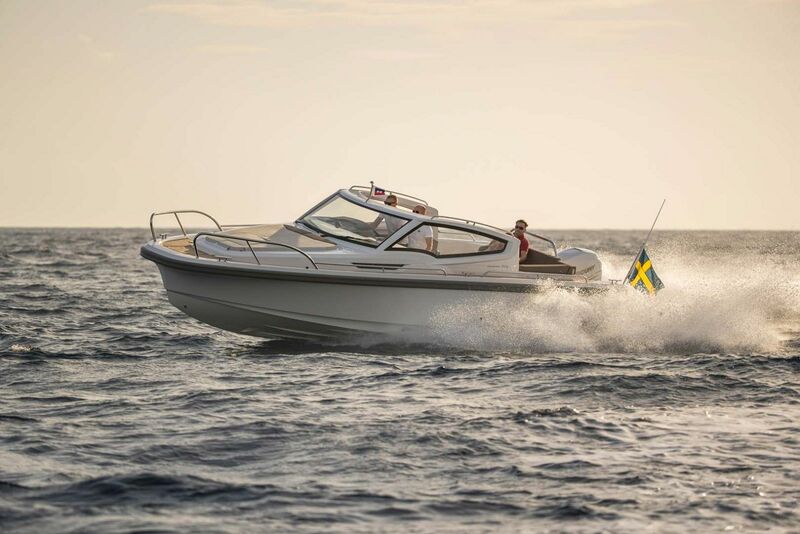 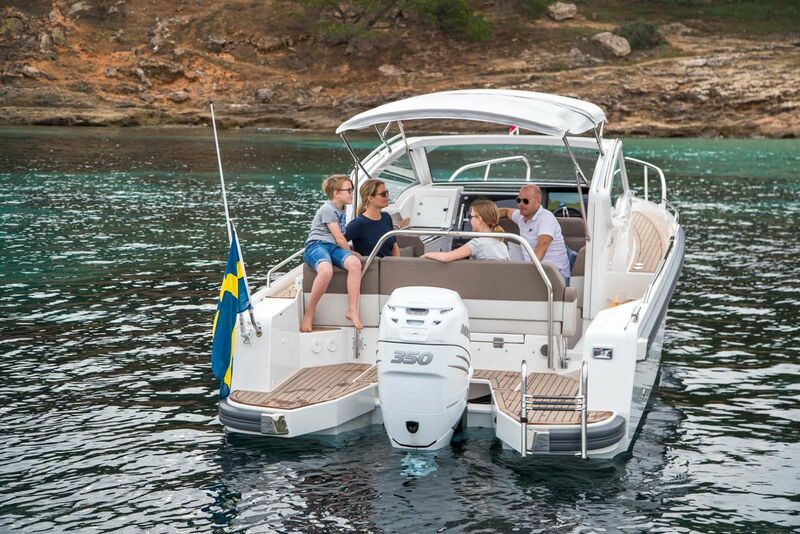 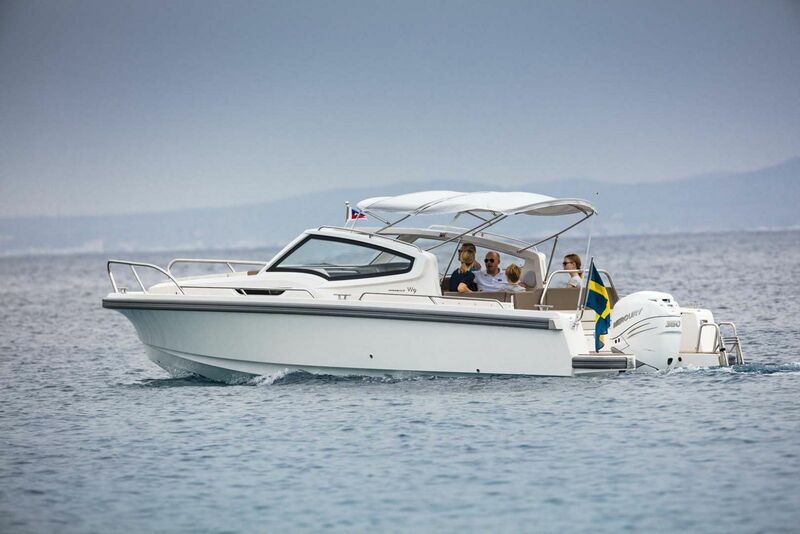 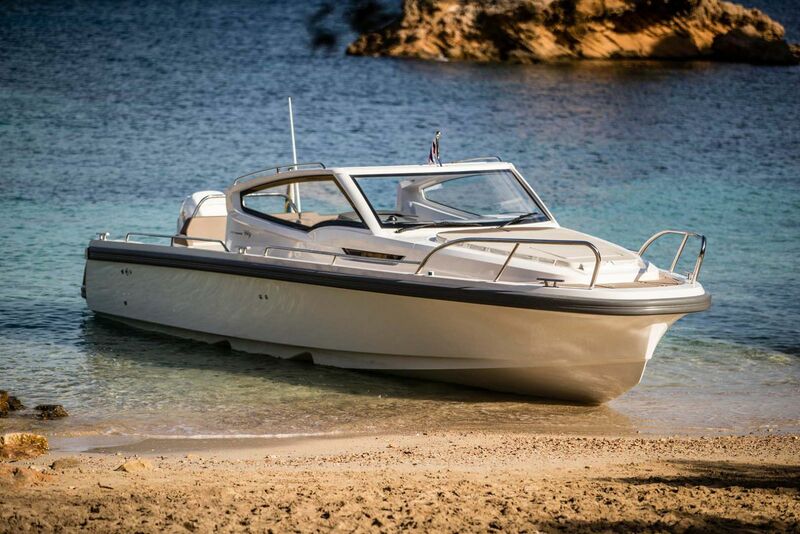 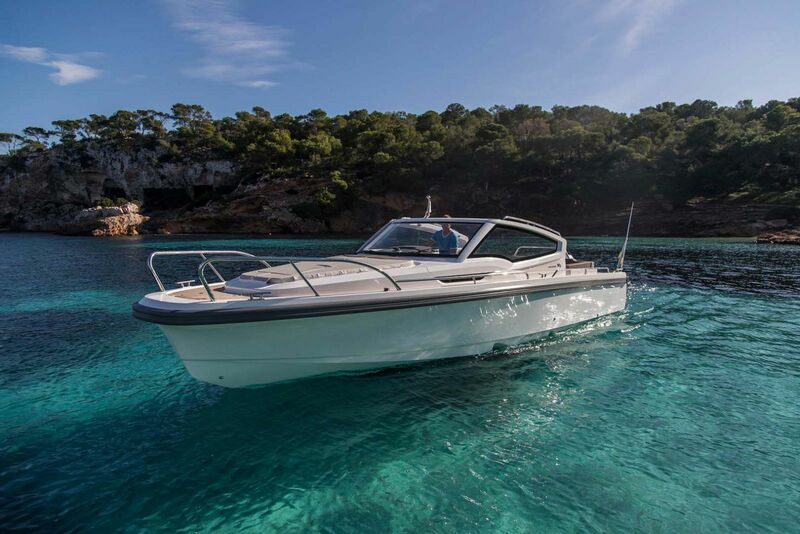 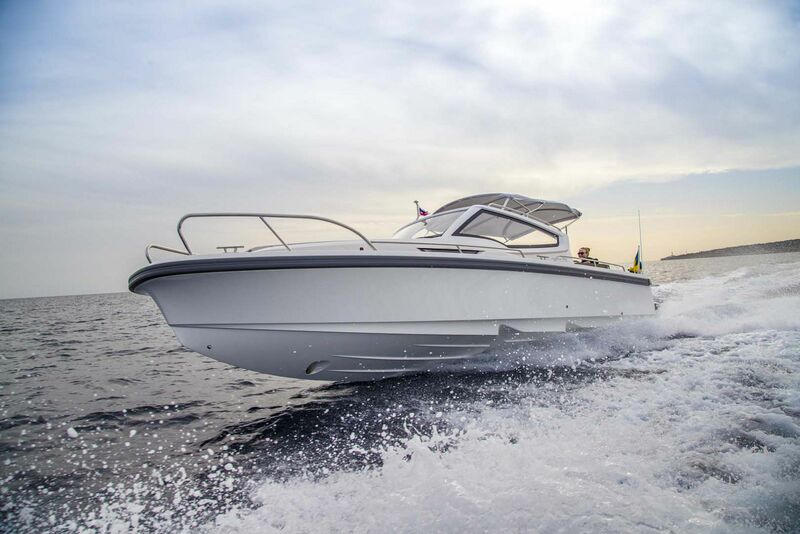 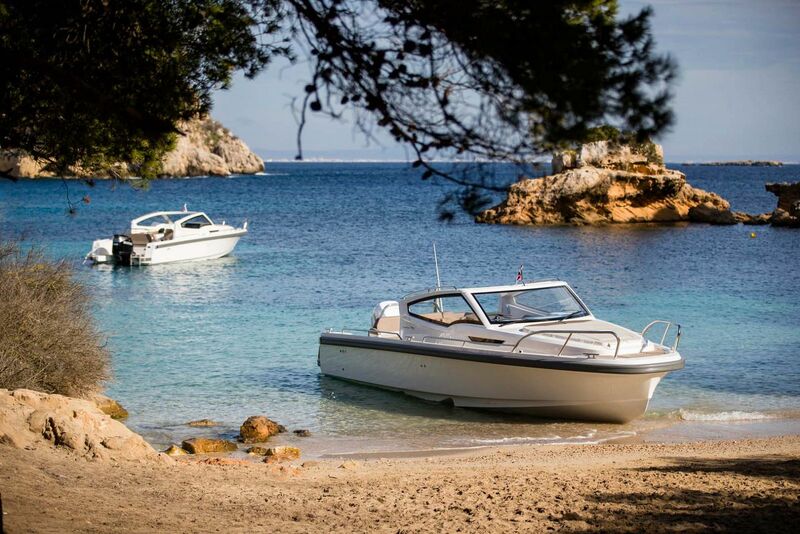 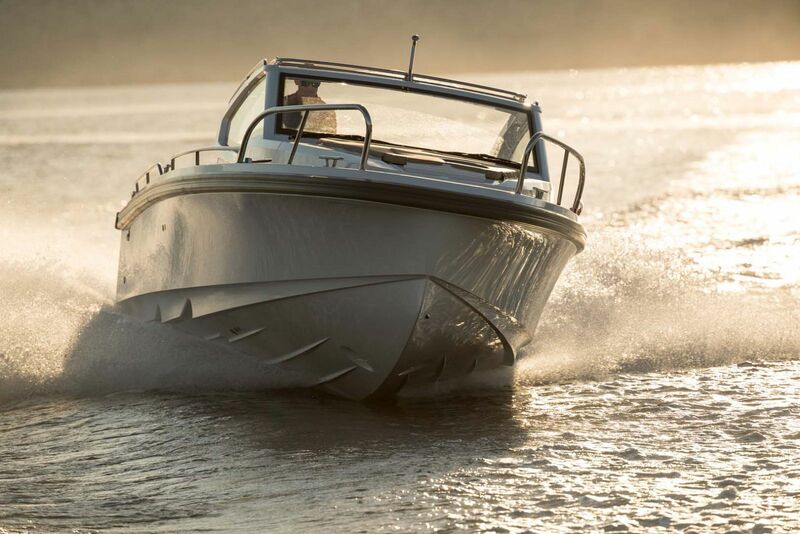 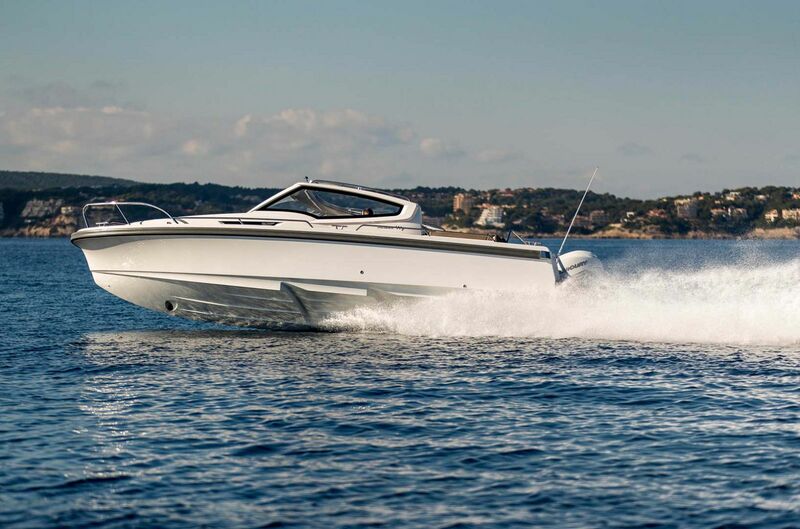 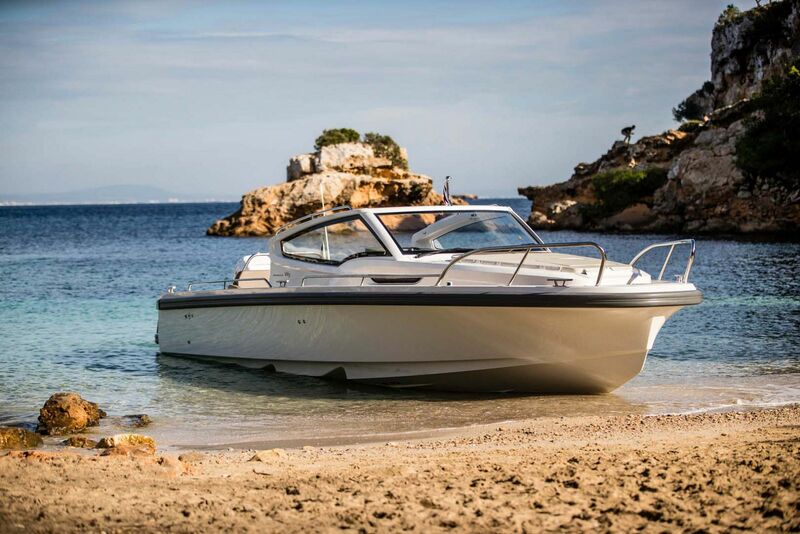 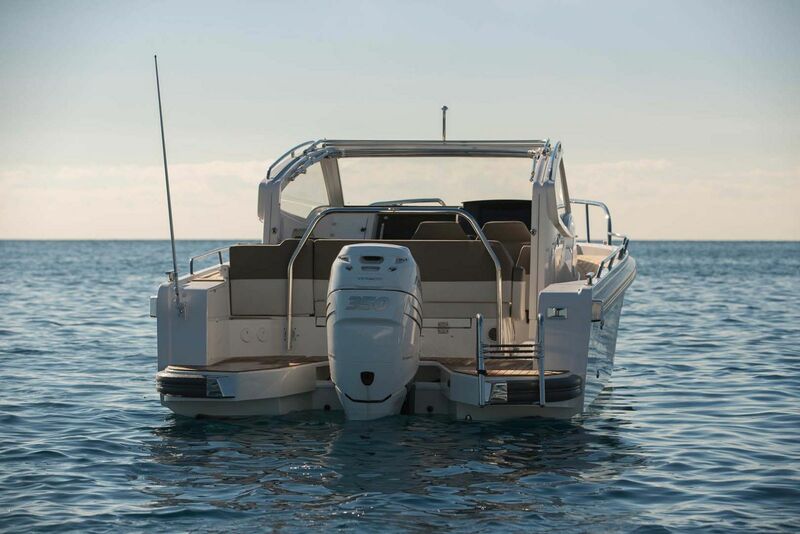 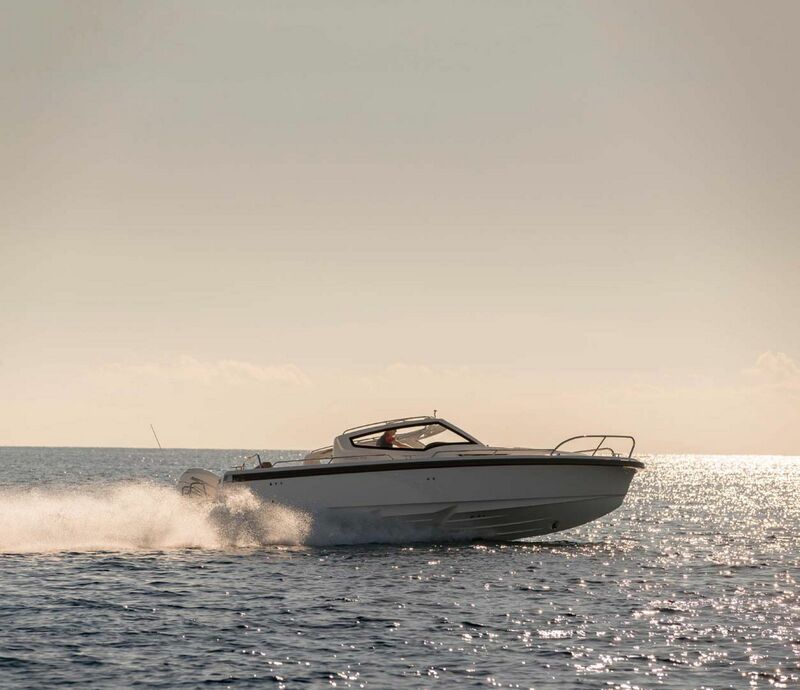 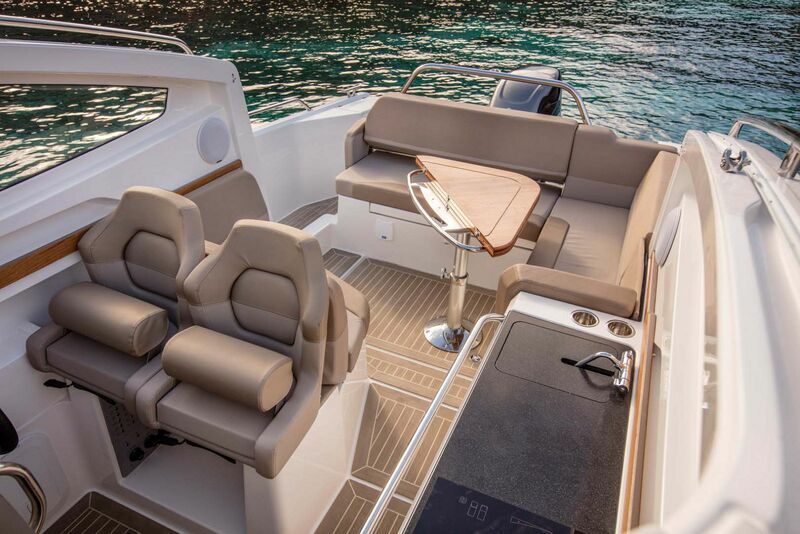 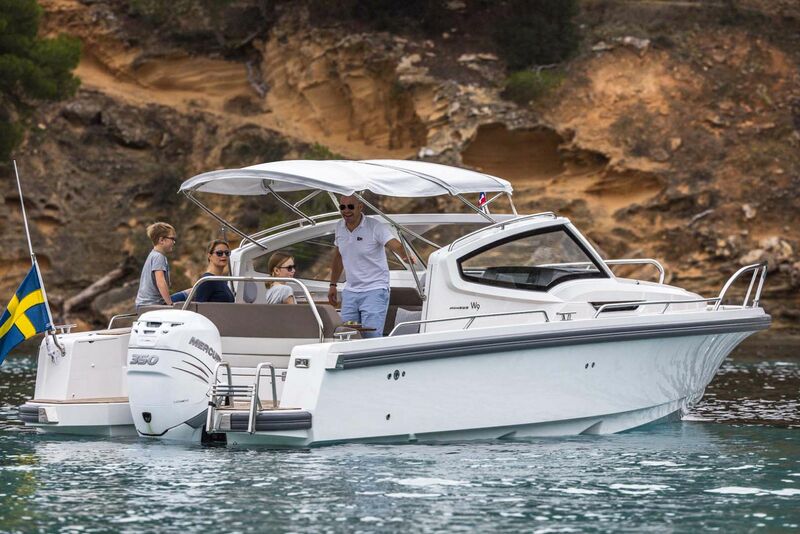 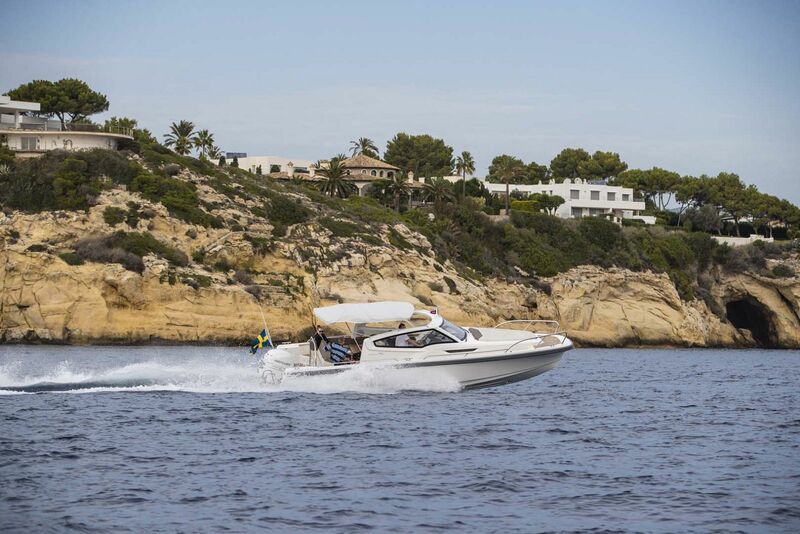 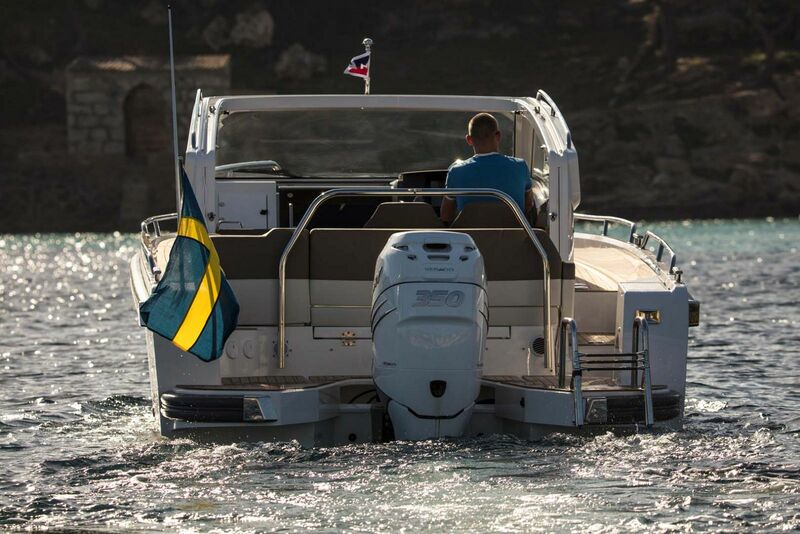 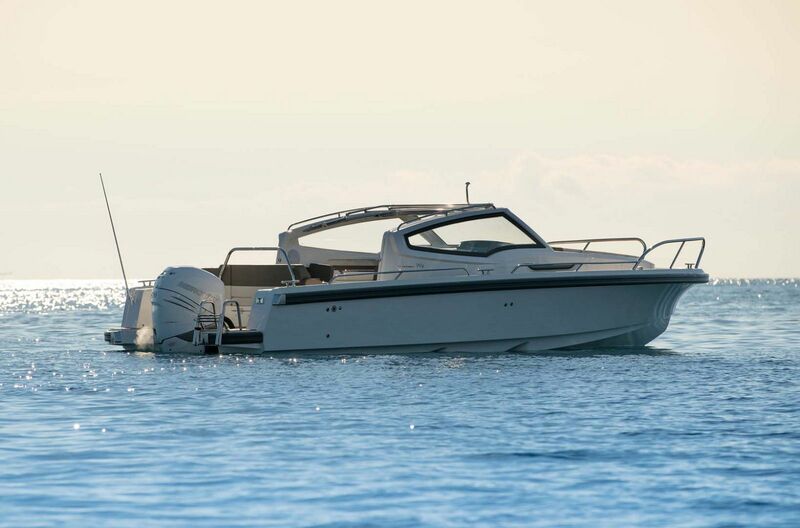 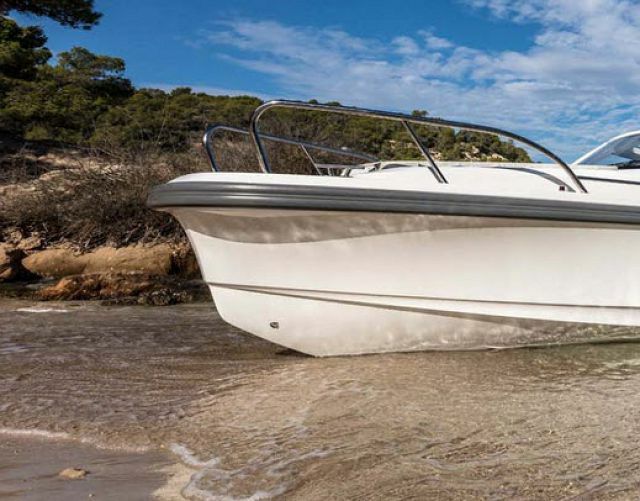 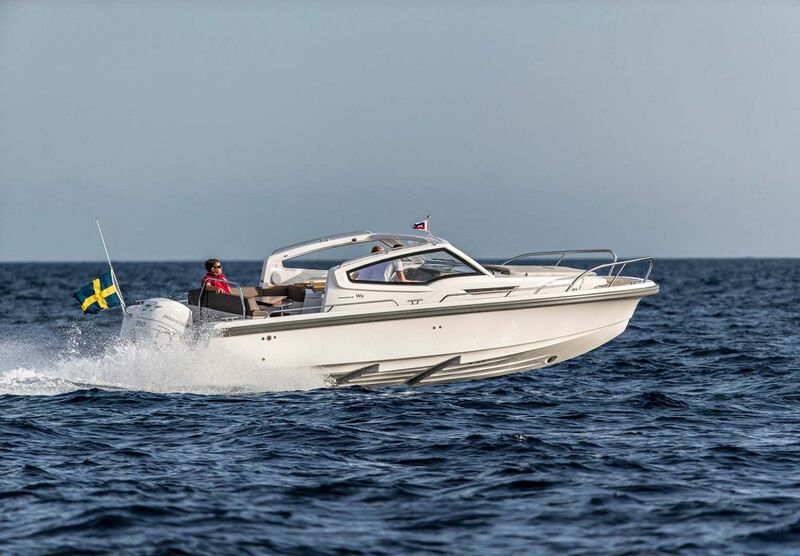 And if you're a boater who prefers an inboard over the standard Mercury Verado 300HP outboard, then Nimbus can accommodate with a Volvo Penta V8-350 CE. 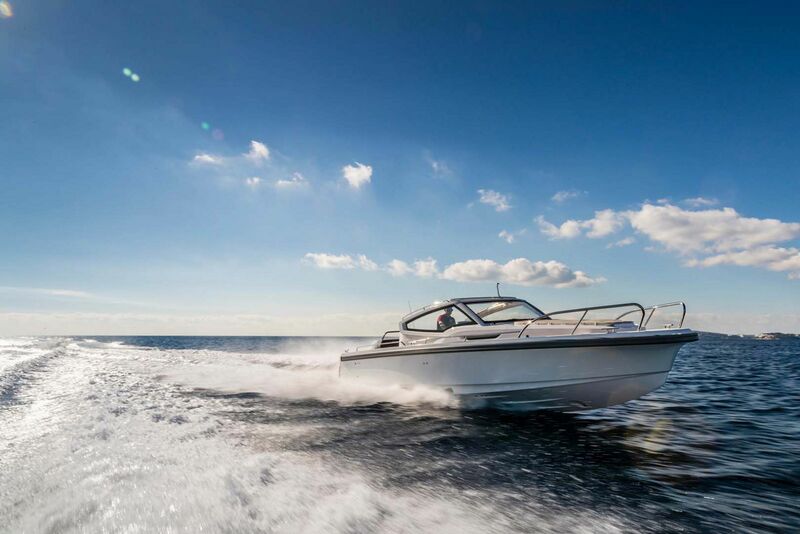 Either way you go, driving the Nimbus W9 is exhilarating with speeds in excess of 40 MPH. 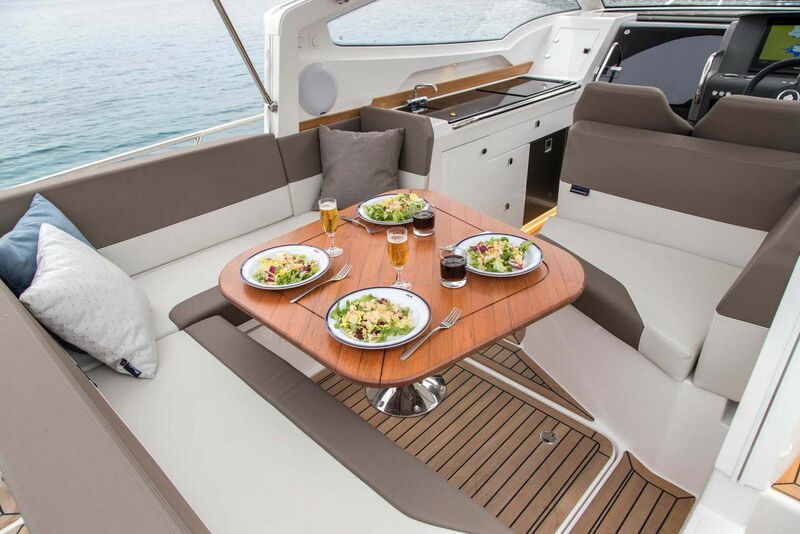 If you'd like more information on the Nimbus Weekender 9, please contact your Seattle Yacht Sales Professional today. 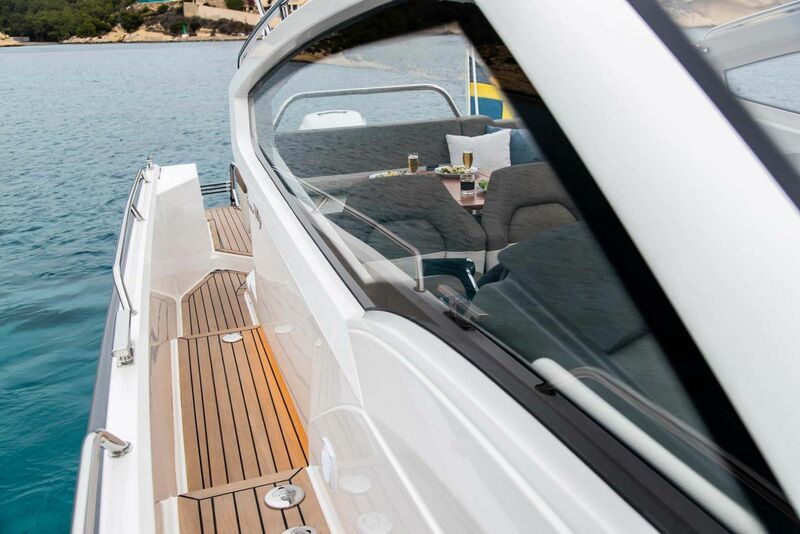 • Completely new air lubricated stepped hull design. 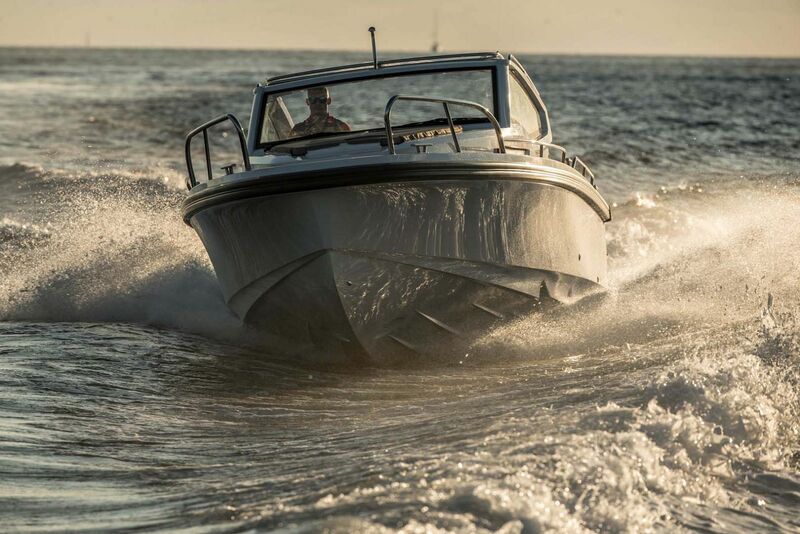 • Minimal planing threshold and razor sharp bow section. 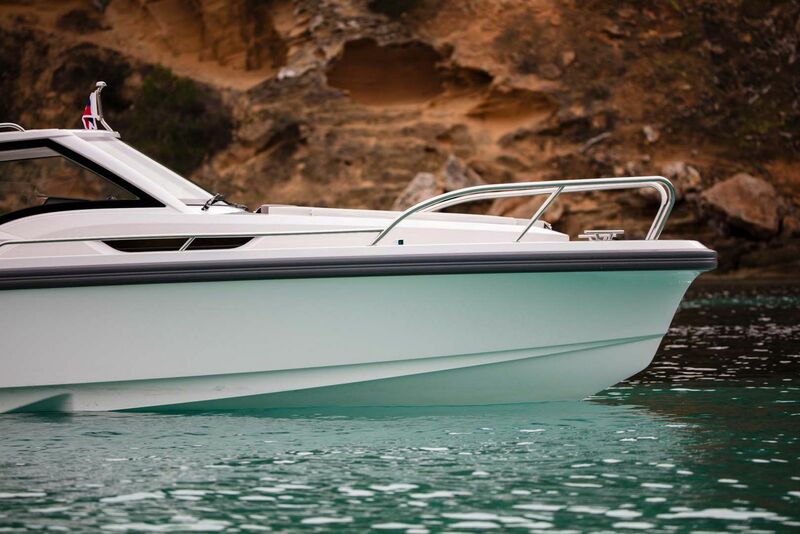 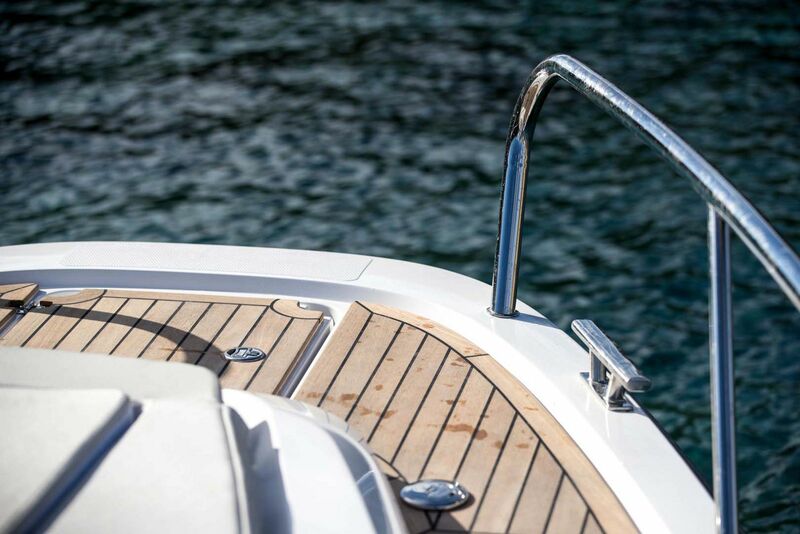 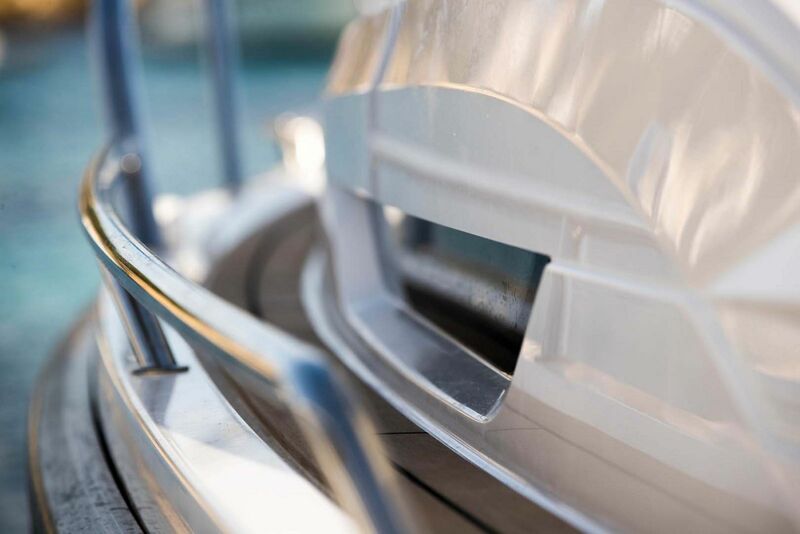 • Built for exceptional seaworthiness and handling. 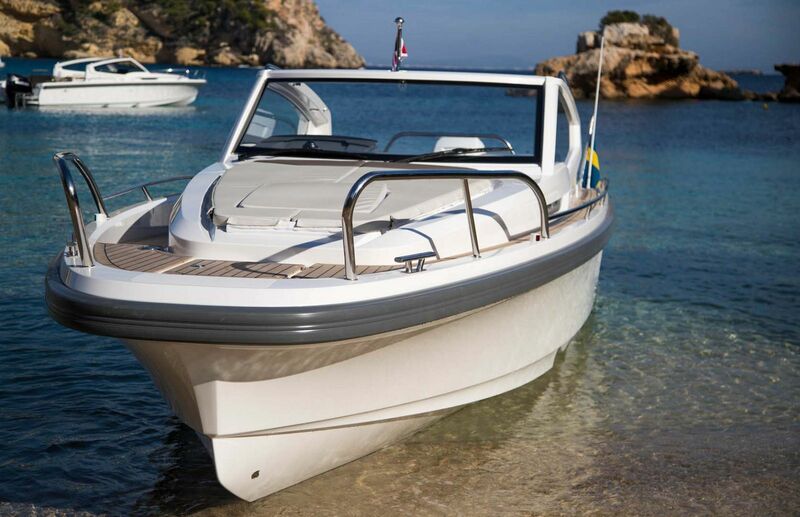 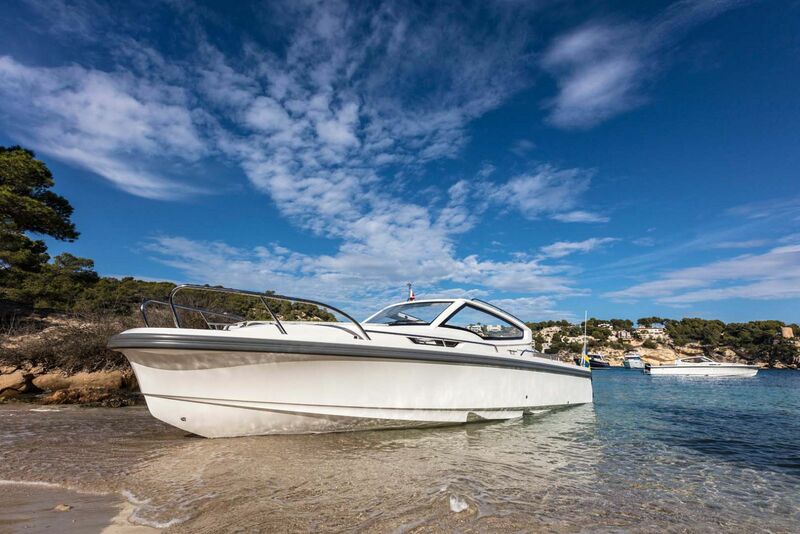 • Can be fitted with outboard engine Mercury Verado 300-350 hp or Volvo Penta inboard VP V8-350 CE. 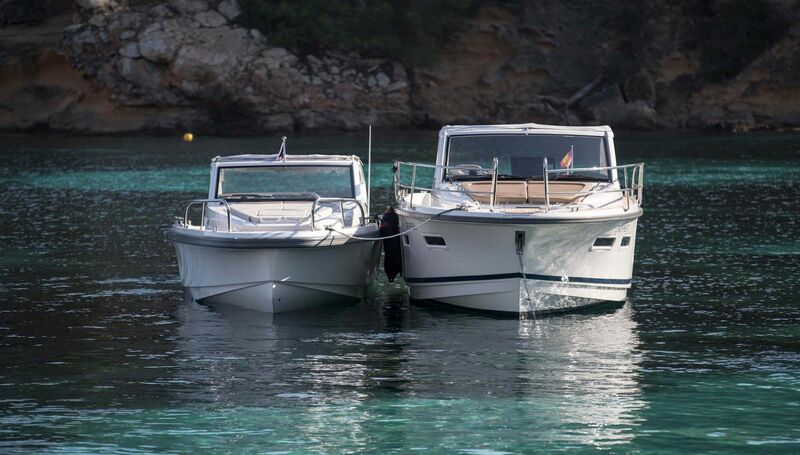 • Double bed in fore cabin with separate head. 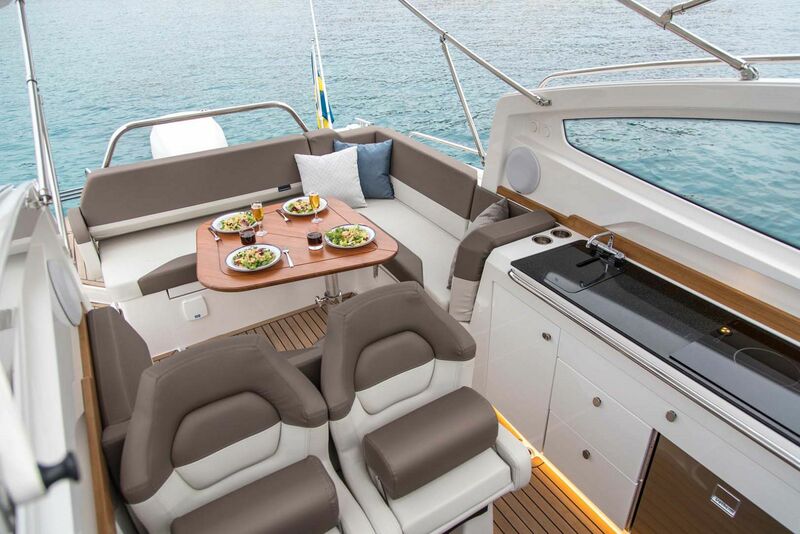 • Large L-sofa in cockpit that converts to sunbed during day time and serves as double bed at night. 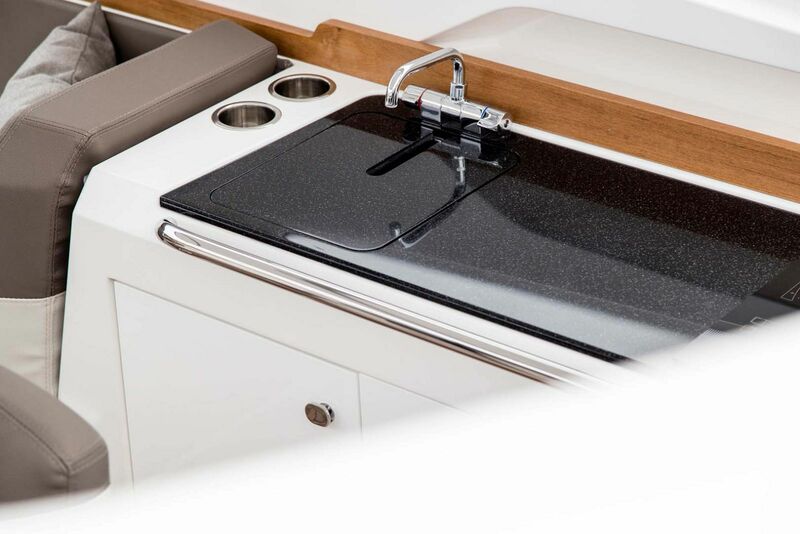 • Large pentry/wetbar in cockpit with 65 litres refrigerator. 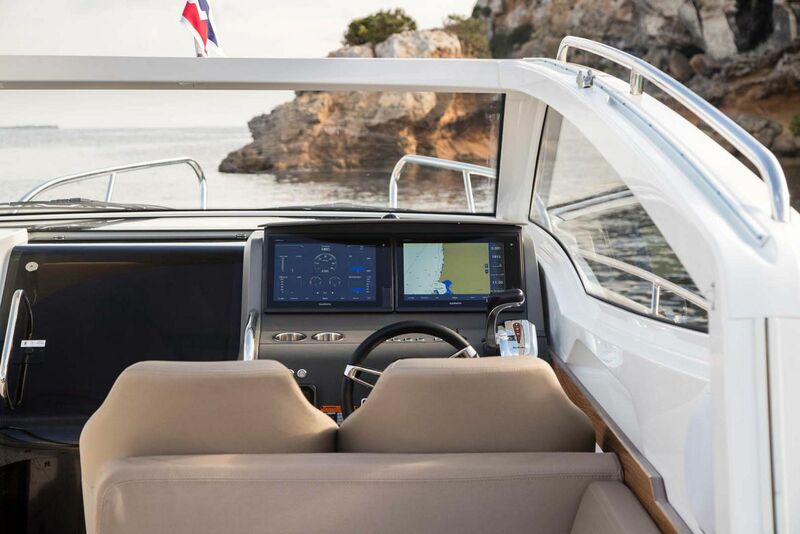 • Dashboard can be fitted with 10″ up to 16″ or double 12″ plotters. 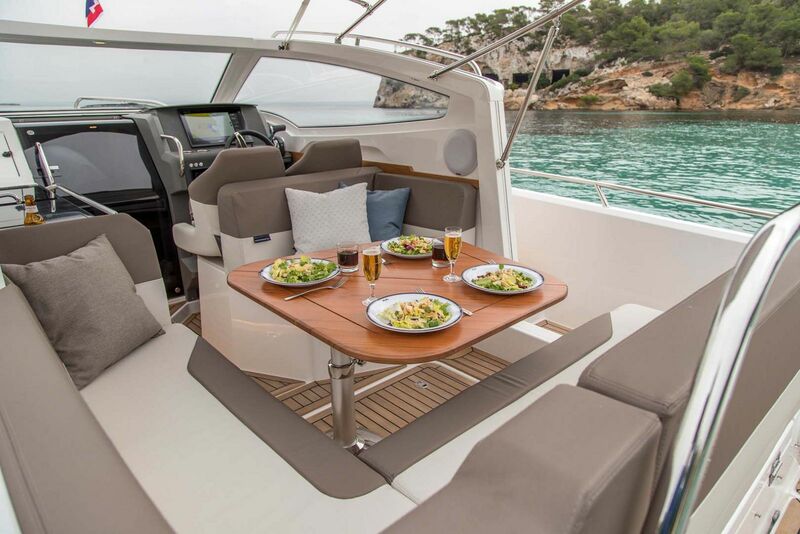 • Available with T-top or multiple canopy solutions. 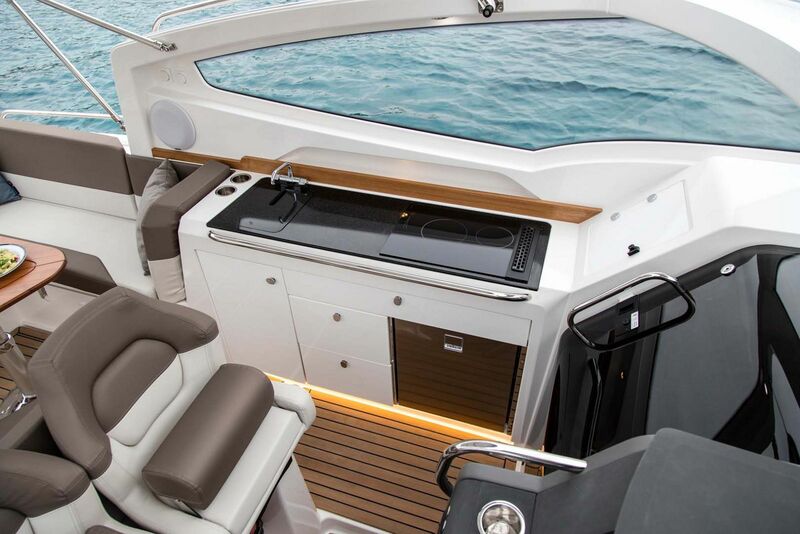 • Sunbed on fore deck with integrated cushion/cover solution. 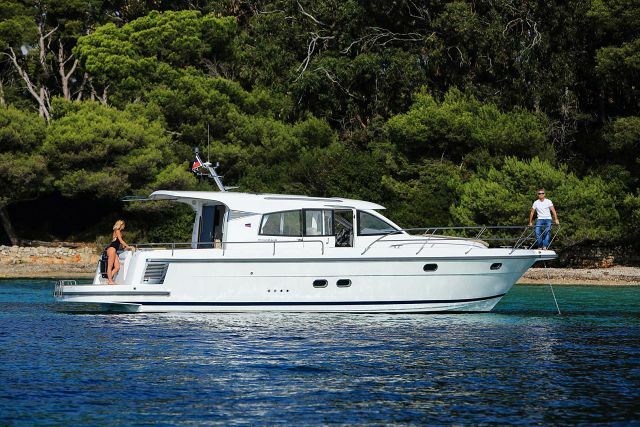 Fuel Tank Capacity: 79 Gal. 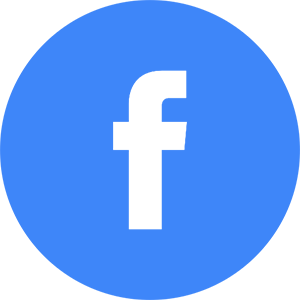 Water Tank Capacity: 21 Gal.